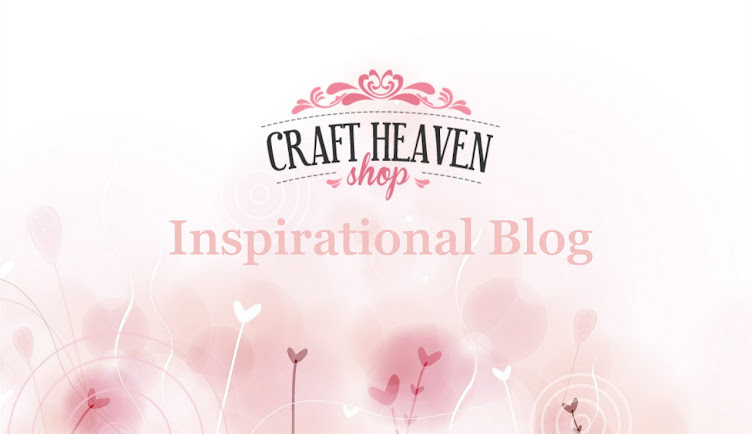 today I'm back with a new inspiration for you. This time I made a daily calender to hang on the wall. 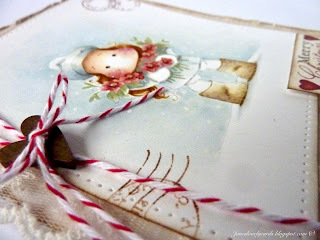 The lovely image is a digital stamp from Saturated Canary. 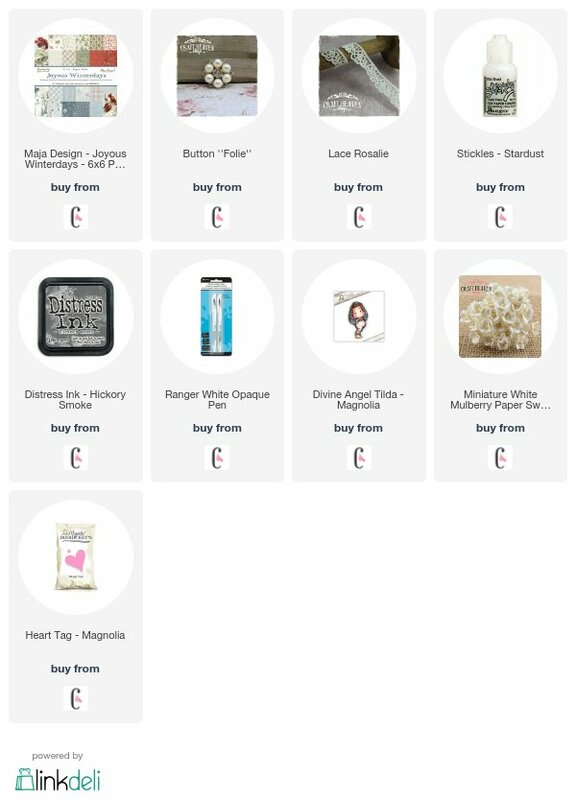 It was a freebie which was send with an older newsletter. I coloured her with my Distress Inks. 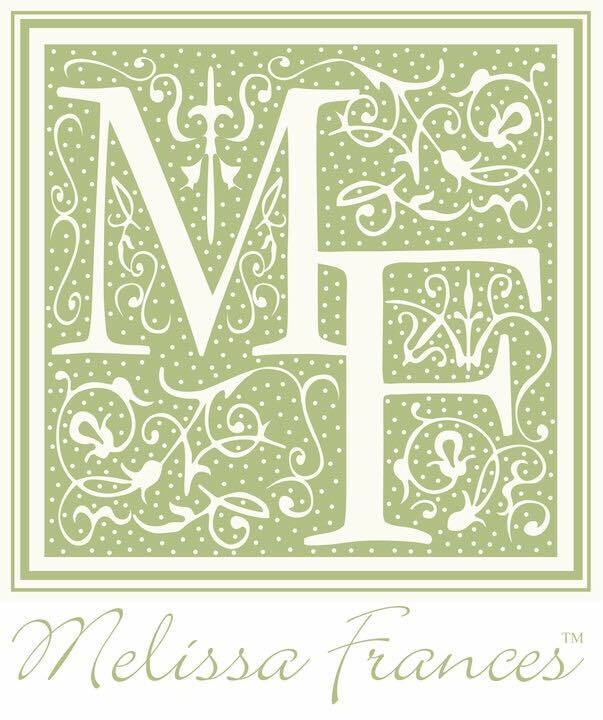 The pretty patterned papers are from Majas 6''x6'' and 12''x12'' collection. 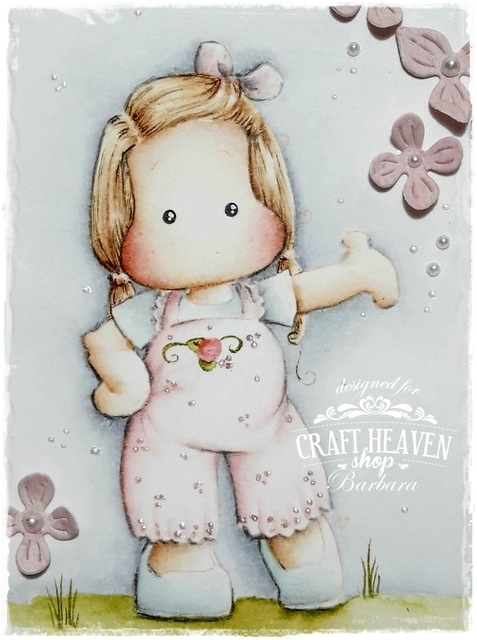 I really love those soft colours and like to make such girlie projects. 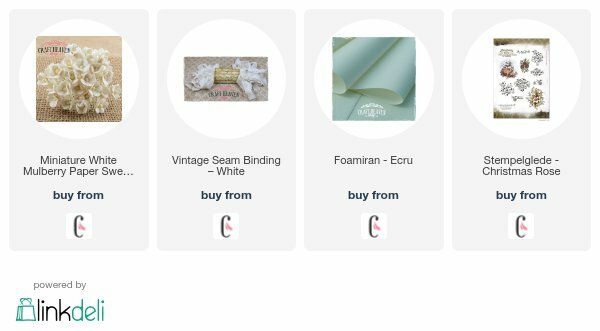 As you might know I (almost) always use corrugated cardboard on my projects. 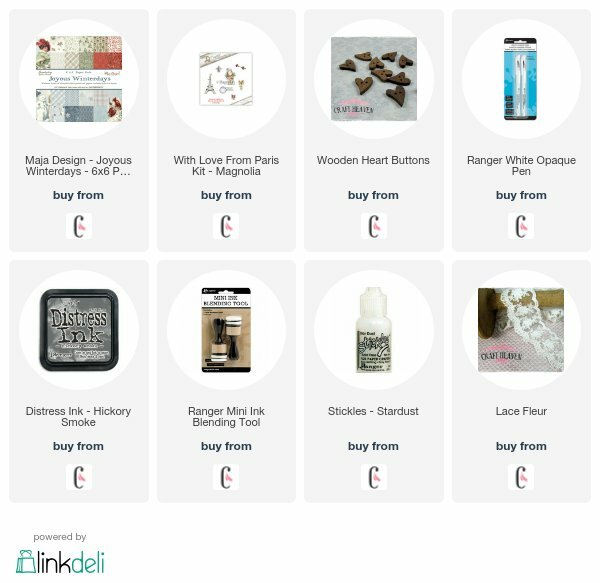 It brings more depth in my cards or projects. I covered it with white Gesso. Under the image I put a piece of a paper straw. 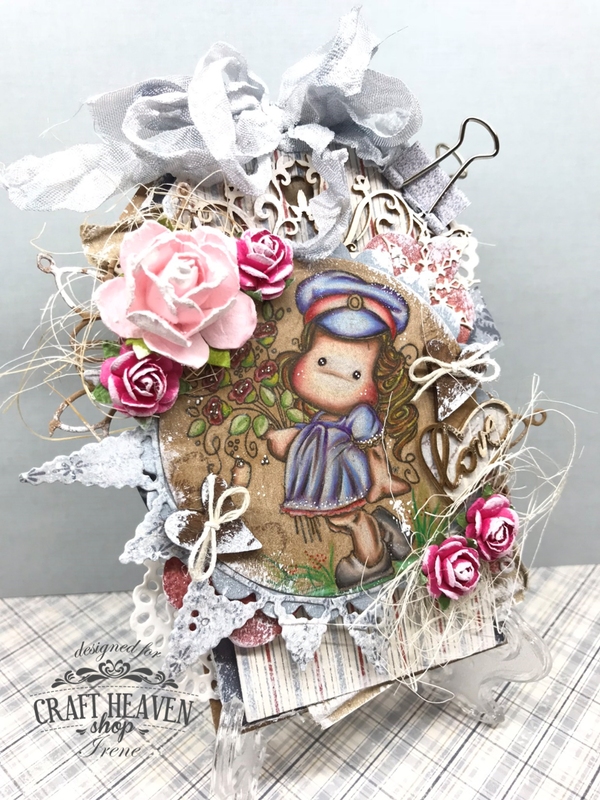 Unfortunately I havn't a perfect pattern for my calender and that's why I glued a piece of a matching patterned paper from Maja around the straw. Looks great, or? On the straw I binded a little Woodn Heart Button. Maybe you have noticed the little shining on her cheeks and lips? Here I used my Wink of Stella pen. Thanks for stopping by today. Hope to see you tomorrow. 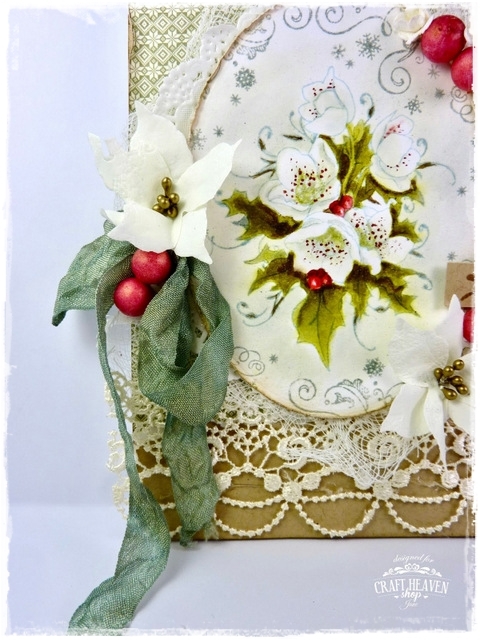 And I use lots of DooHickey Dies and Maja Design Paper from the stunning Joyous Winterdays - Collection . Good morning! I hope you have had a wonderful Christmas with family and friends! 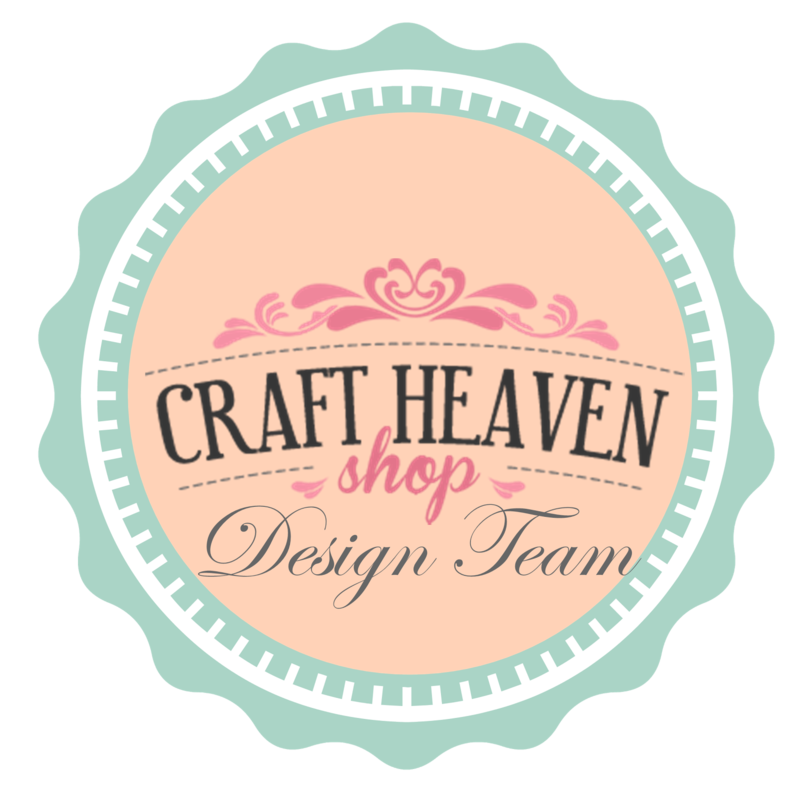 I am a little late sharing my Craft Heaven post this morning, due to forgetting what day it is after the Christmas festivities lol! This is the card I made for my husband this year. 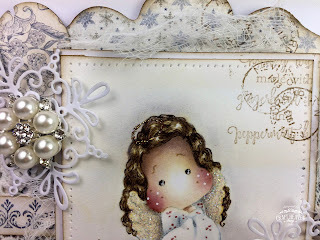 I used some of the gorgeous papers from Maja Design's Joyous Winter Days collection. 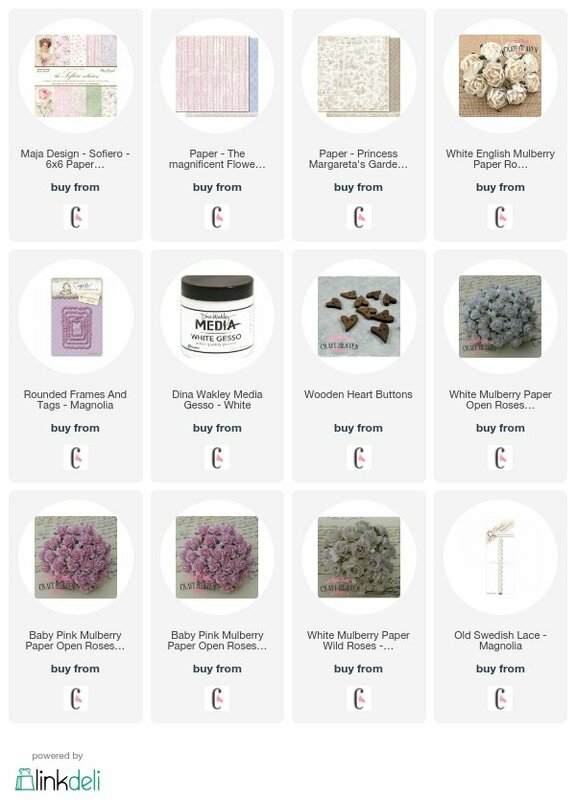 These papers are so dreamy - I love them! 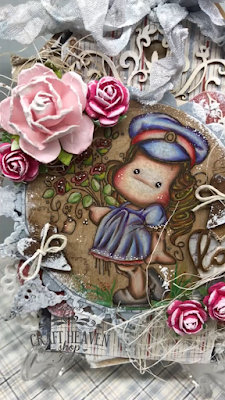 I painted the beautiful Tilda from the With Love From Paris kit that is now available to purchase if you missed it for the Online Magnolia Day. As always, I painted Tilda with Distress Inks using the no lines technique. I gave her red hair to match my own! 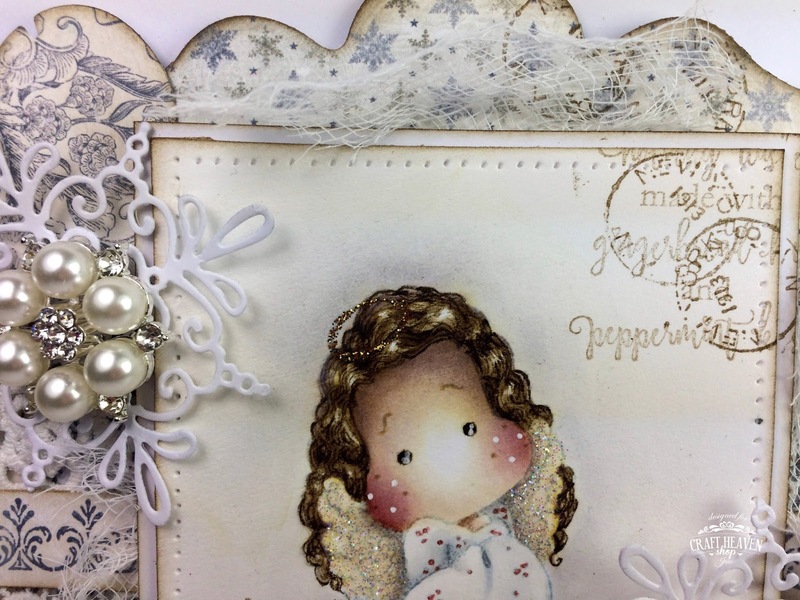 I also created the snowy background using Weathered Wood Distress Ink and used a white gel pen for the snow flakes. 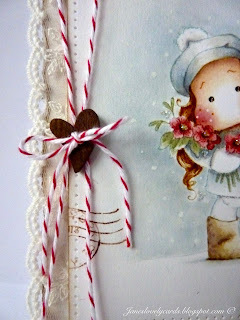 The gorgeous lace and heart button are from the Craft Heaven store and I added some candy striped twine from my stash. 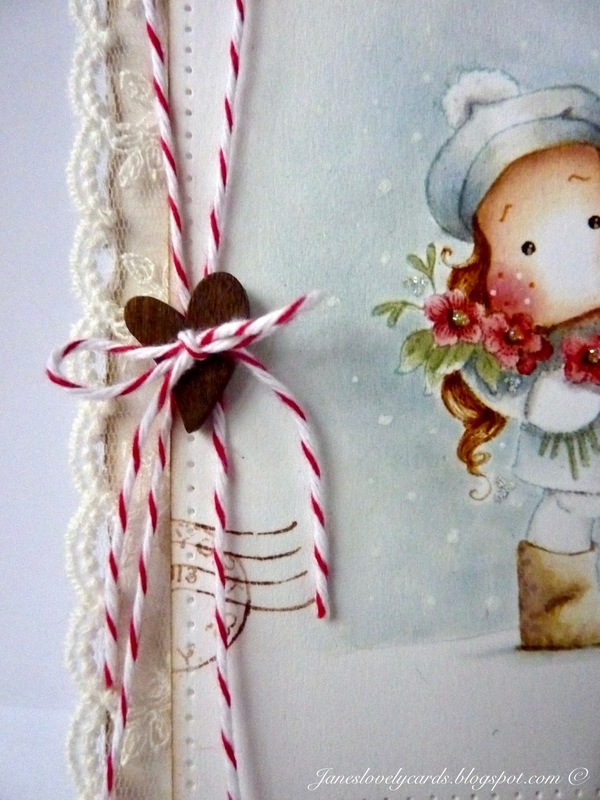 The sentiment is cut from the bottom strip on another Maja Design paper - Blizzard. 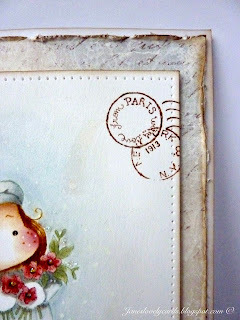 I used the postmark stamp from the With Love from Paris set, along with an older Magnolia post mark stamp, on the edges of the image mat. I have created a faux stitching look around the edge of the image mat using my Tim Holtz die pick. Good morning! 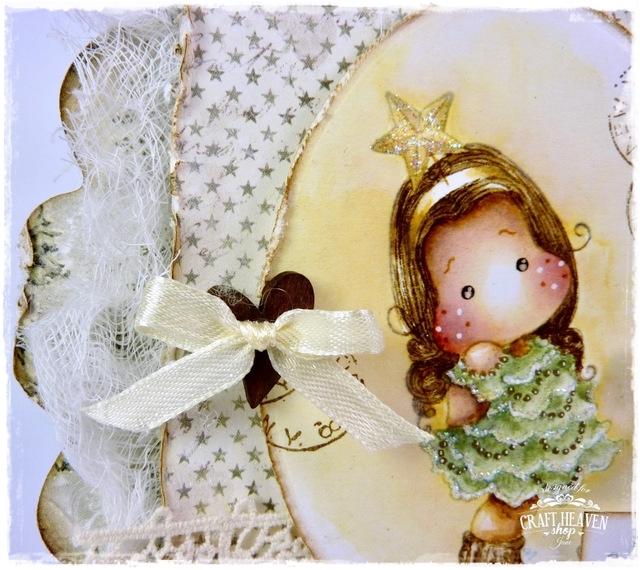 I have another card to share for Craft Heaven DT today using some more gorgeous papers from Maja Design and another cute Tilda from the Christmas Party collection. I have painted Divine Angel Tilda with Distress Inks using the no lines technique. 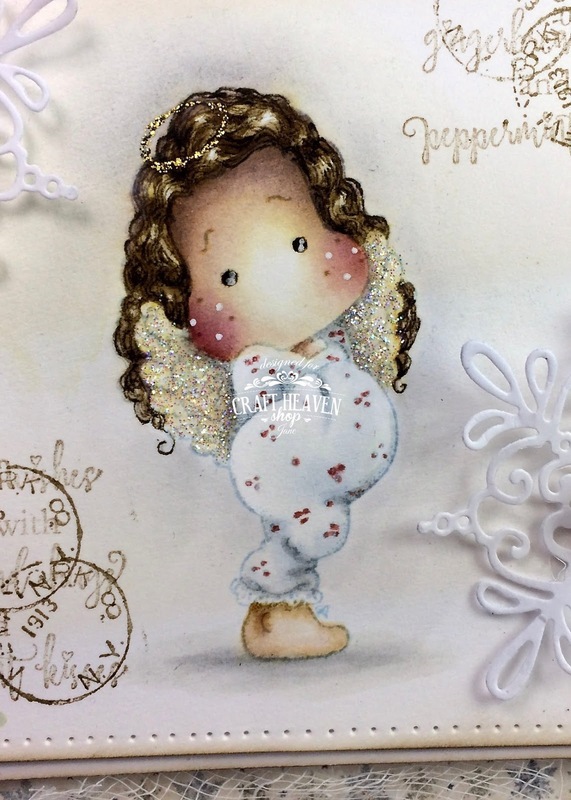 I have added Stardust Stickles to her wings and Gold Stickles to her halo. 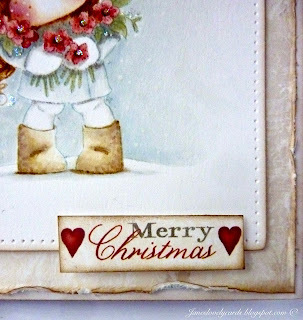 I have used a postmark stamp from Magnolia and the Gingerbread hugs sentiment stamp around the edges of the image mat. I have topped the Doohickey snowflake with a stunning pearl and diamante embellishment from Craft Heaven and added some bells from my stash to the heart tags. 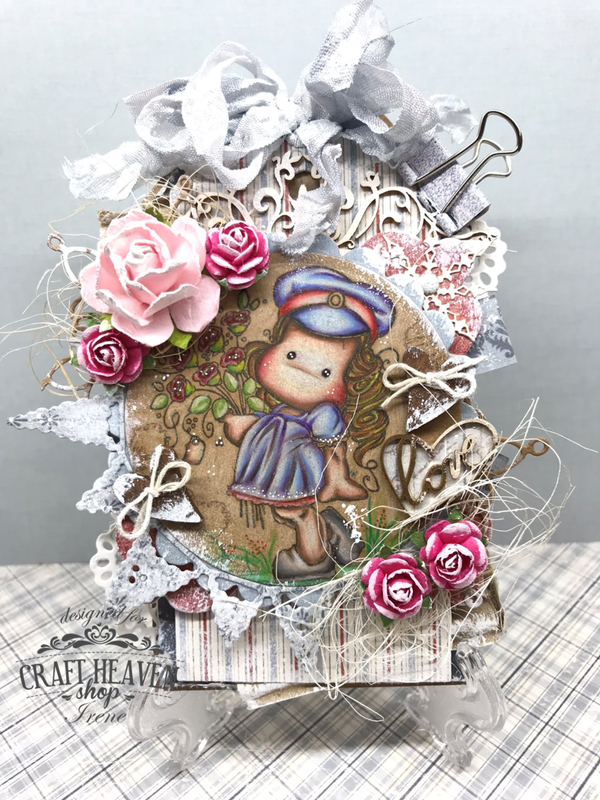 The flower is from Craft Heaven too and the sentiment was cut from the bottom strip of one of the Maja Design papers. 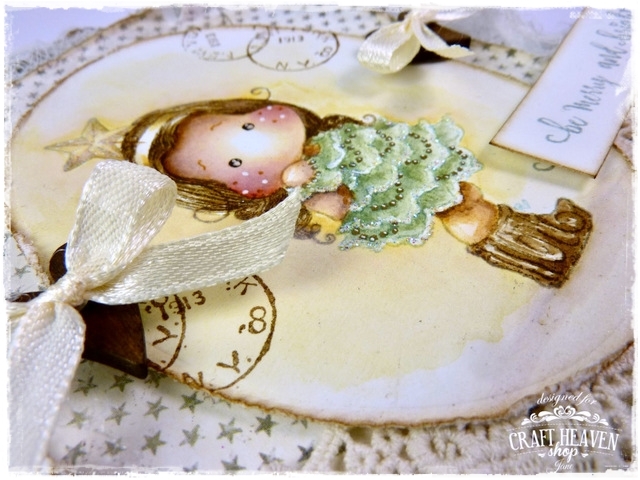 Merry Christmas with Tilda and Maja Design.. 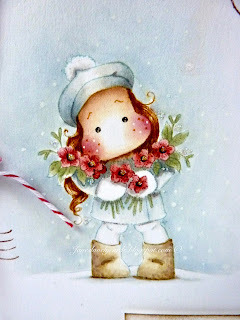 I can't believe that next week is Christmas Eve! 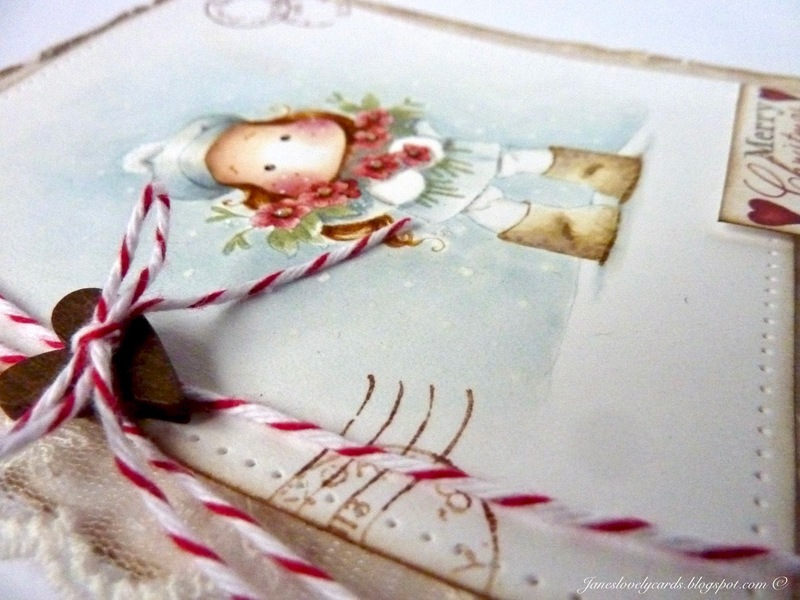 And I have to do so much more cards... Have you made all your Christmas cards yet? This is my new christmas card. 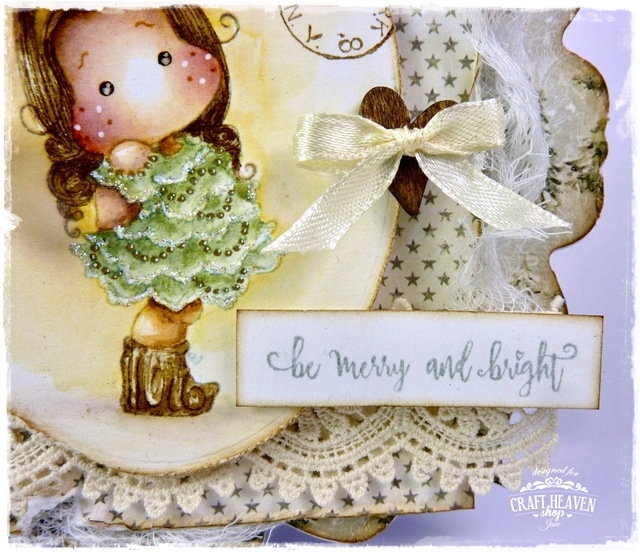 I used this sweet Frozen Tilda from the new Christmas Party Collection. I just love all Tildas in costume. I decorated my card with some pinecones, a white English Rose, Frosted Pomegranates, white Spiral Stamens, pearls and a white Cosmos Daisy. I framed the cute Tilda with the snow globe from Magnolias Vintage Box last year. 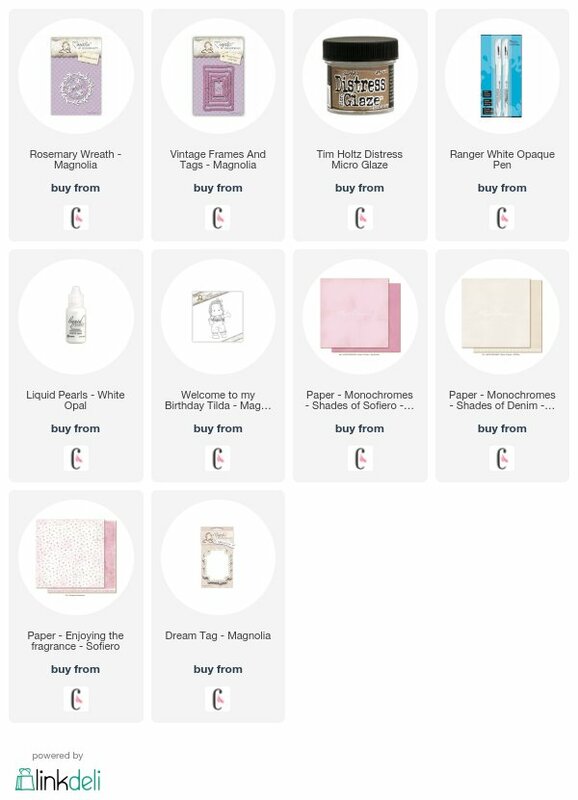 The stars around Tilda are also stamps from Magnolia. 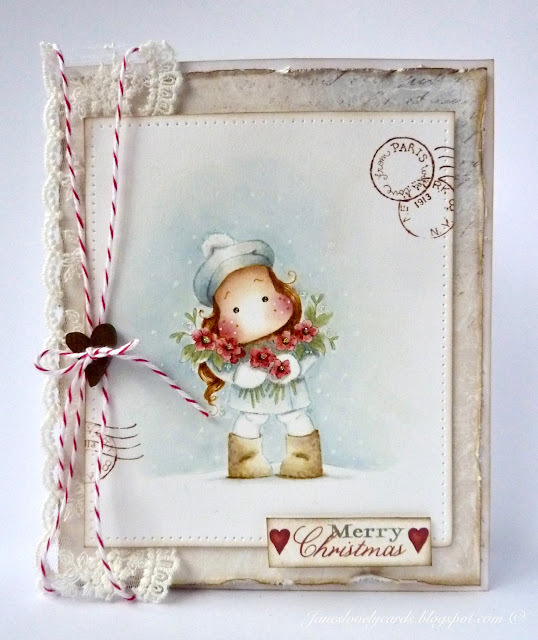 The pretty patterned papers are from Majas Joyous Winterdays collection. All patterns are gorgeous and so beautiful. I coloured Tilda as usual with Distress Inks. The sentiment is an older one from Magnolia too. It's me Irene with you today! 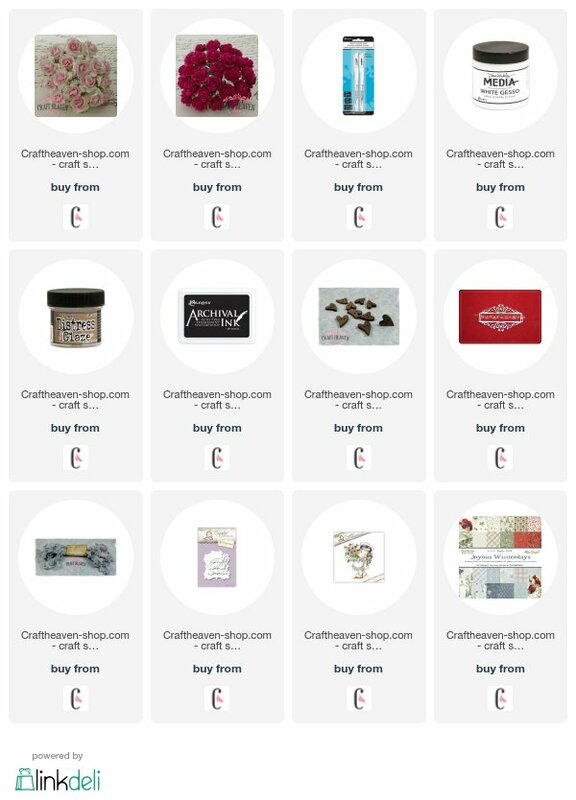 It's time to share another creation with you. 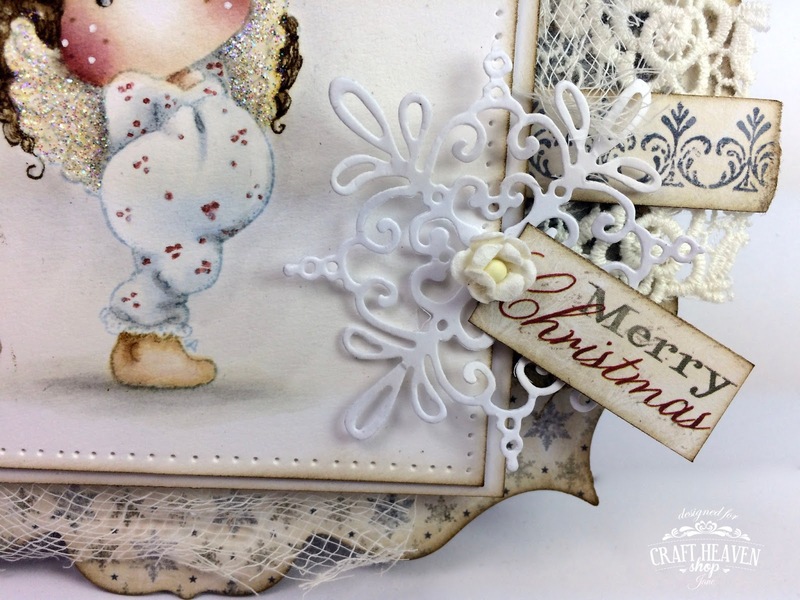 This time I've made a small round card to imitate a Christmas Ornament. 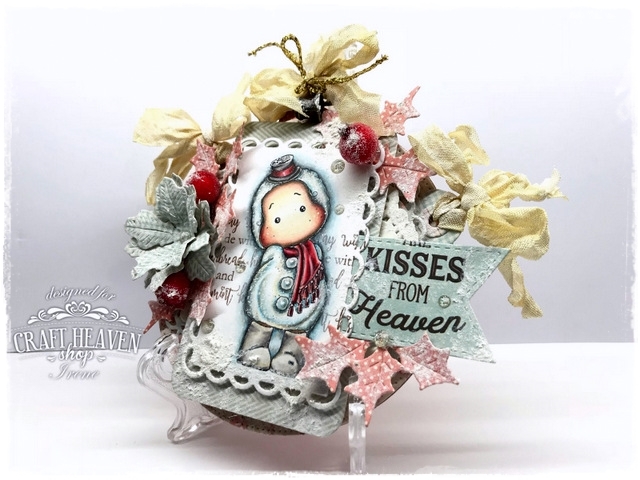 This is another stamp from the latest christmas colletion from Magnolia "Christmas Party Collection 2017" and this is my favorite one: "Frozen Tilda" and to create the background I use another stamp from the same collection called:"Holiday Wishes Kit". 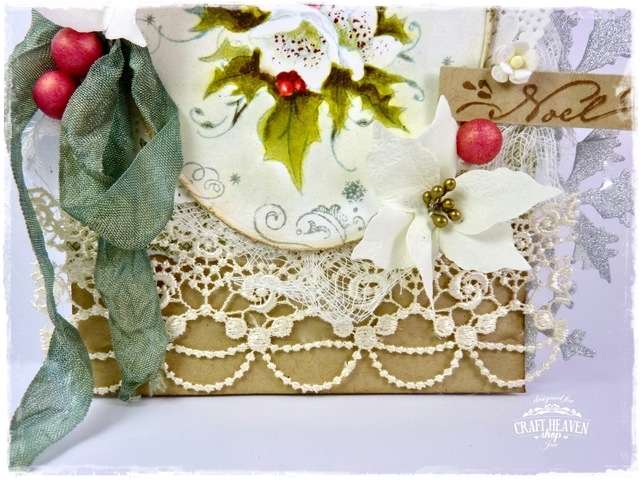 For a vintage look I use Tim Holtz Distress Oxide Ink Pad - Vintage Photo. 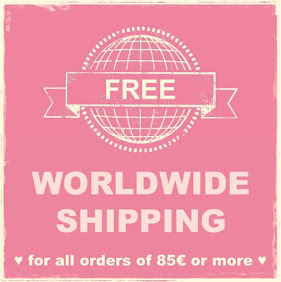 Like: The Summer Crush 6x6 paper pad. All the highlights are made with a Ranger White Opaque pen. I just adding some Gesso to it for that frosty look. 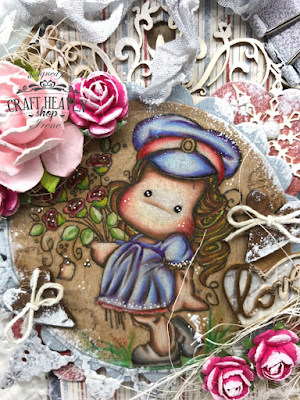 I'm excited to share my latest card for Craft Heaven this morning featuring my absolute favourite Tilda from the Christmas Party collection 2017, Tilda with Star. As always I've painted her with Distress Inks using the no lines technique. I've also added some Stardust Stickles to the Christmas tree frills and her star. 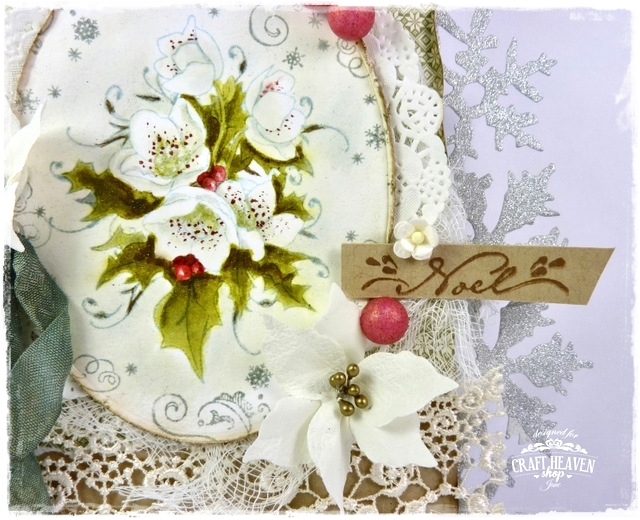 The sentiment is also from the new collection and comes in a set with another sentiment and some snowflakes. 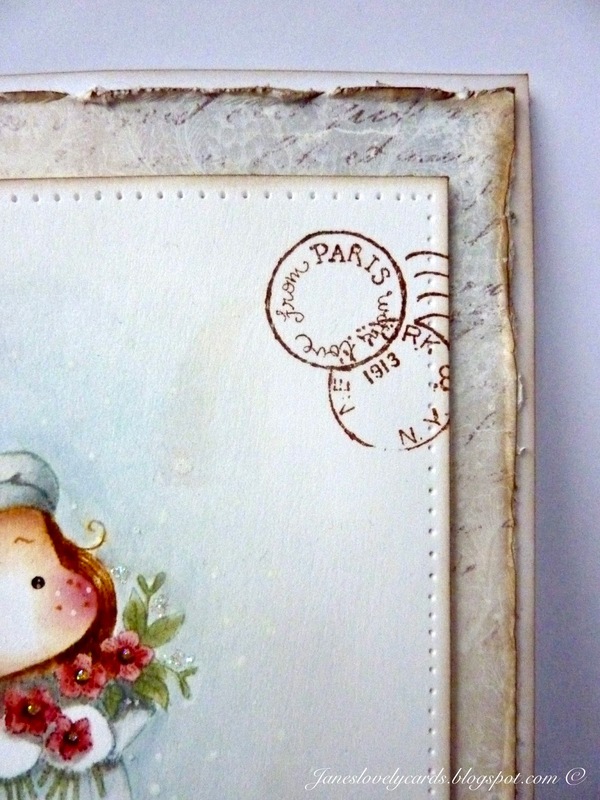 I've stamped it with Pine Needles Distress Ink. 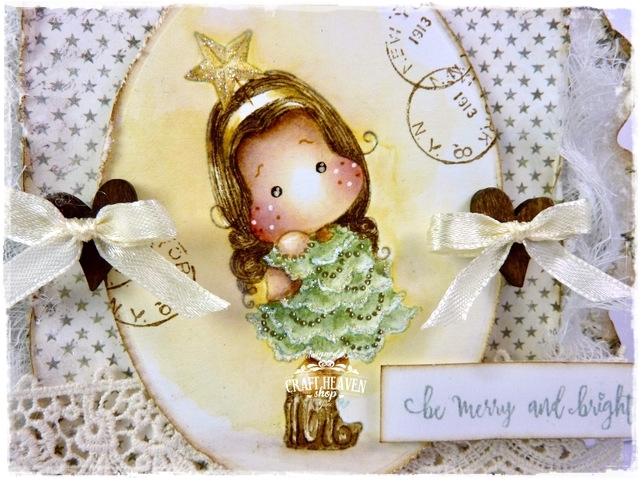 The gorgeous papers are by Maja Design and these two with stars and Christmas trees on were perfect to match Tilda! I've also added some lace, wooden buttons and ribbon from Craft Heaven to complete my card. It's time to share another creation with you. This time I've made a gift box using Welcome to my Birthday Tilda from the Yay, It's your Birthday Collection 2017. 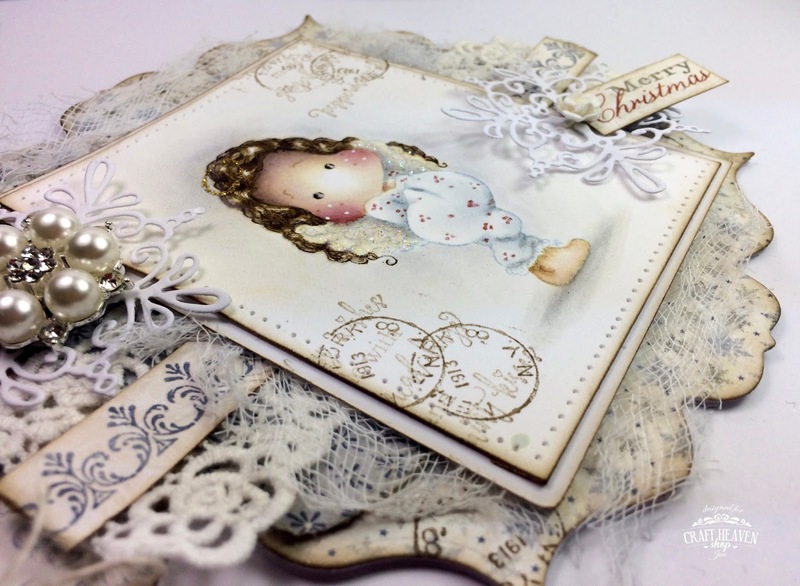 The gorgeous papers used are all from Maja Design. 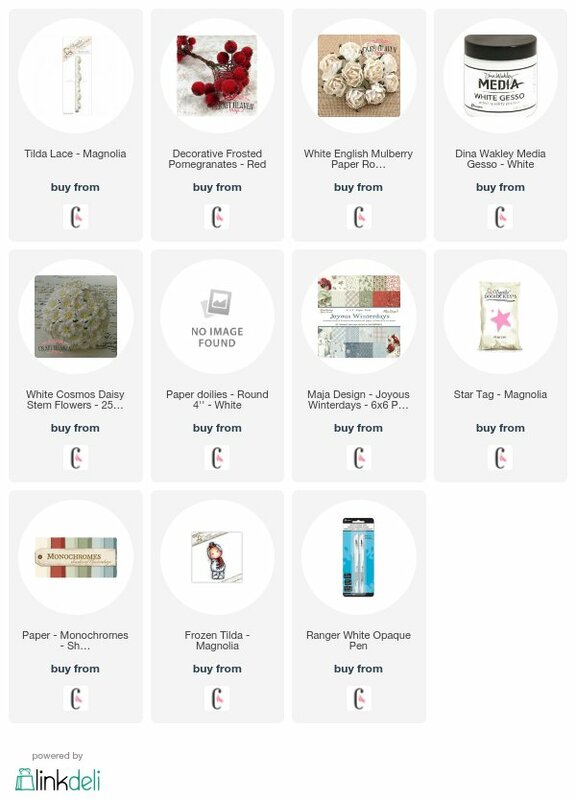 I picked the Monocromes - Shades of Sofiero and Sofiero 12x12 designer papers. I just love soft pink and white tones. 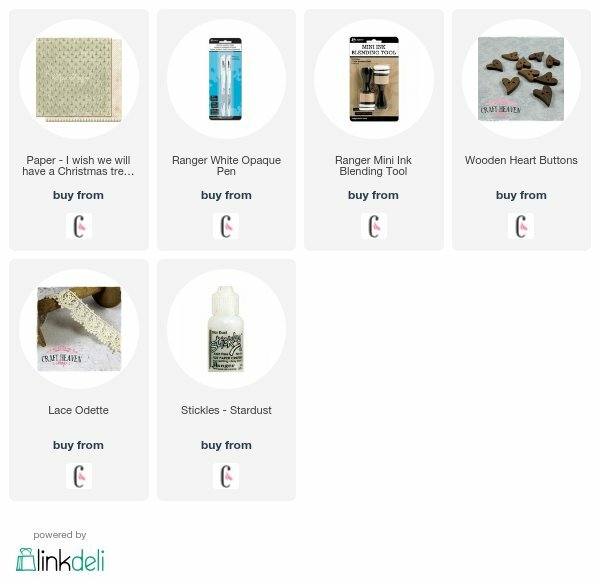 All papers used are listed at the end of my post. 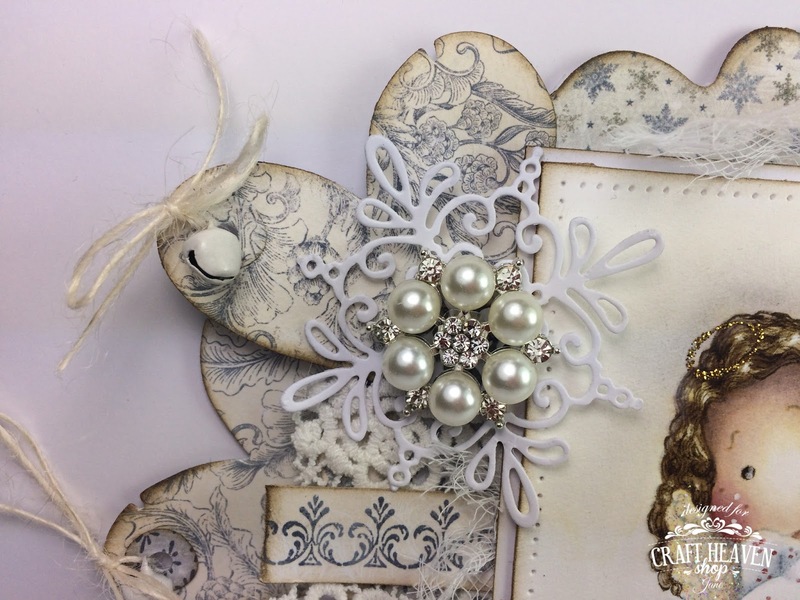 I cut out this gorgeous Tilda using the Vintage Frames and Tags Magnolia die. 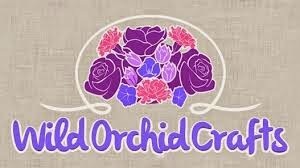 Other dies used are Dream Tag and Rosemary Wreath. I coloured Tilda with Distress inks. .... Then.... Everything is sealed and protected with a tiny bit of Distress Micro Glaze. Some light touches of Dina Wakley Media Gesso here and there and my project for today is done. See you again very very soon! 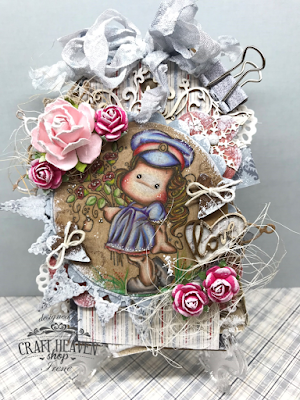 Today I'd like to share my card for Craft Heaven Shop using another of the gorgeous stamps from Stempelglede's Christmas Rose set. 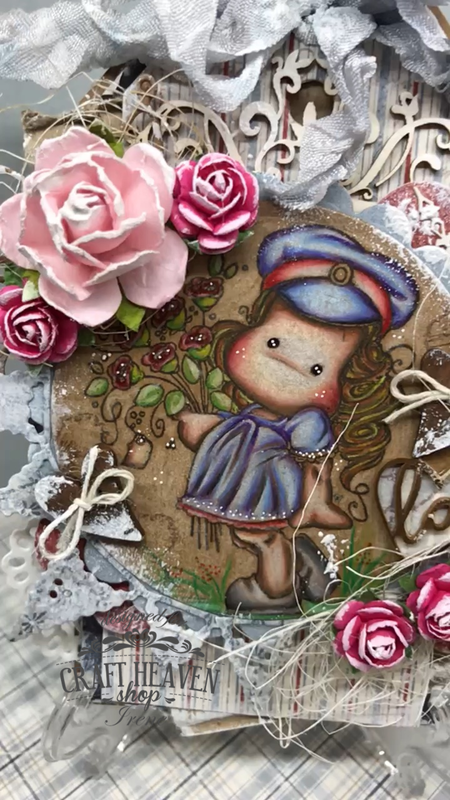 I have painted the Christmas Rose image with Distress Inks using the no lines technique. 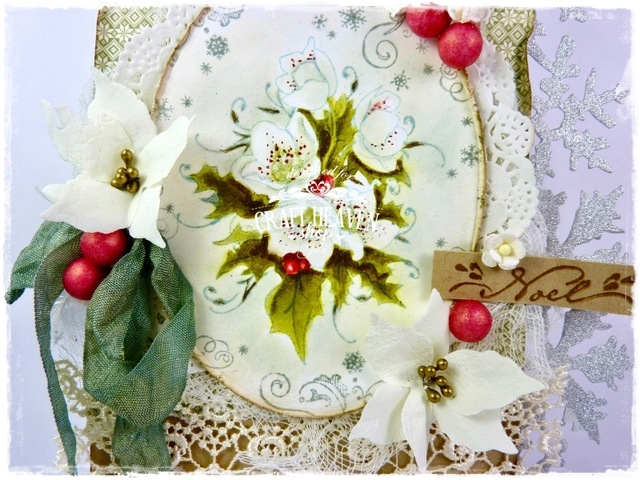 I've also added a shimmer to the holly leaves with a Wink of Stella pen. The swirling snowflake pattern around the edges of the image is another stamp from the set. I have dyed some white seam binding from the store with Pine Needles Distress Ink to match the Pion Design papers. 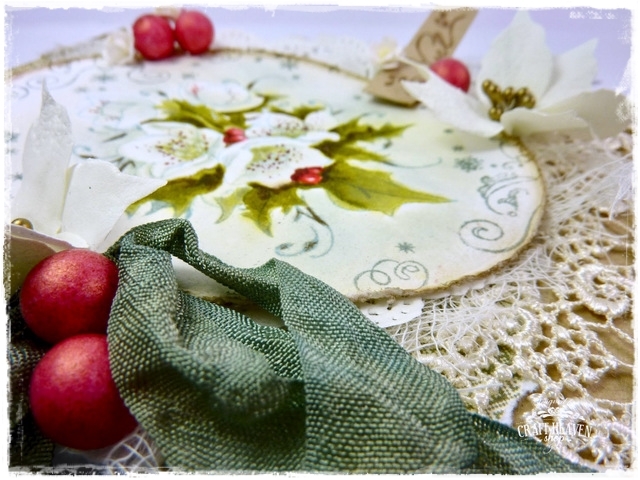 The gorgeous lace is from Craft Heaven too and I've added some poinsettias I've made with some ecru Foamiran, cheesecloth and some red berries. 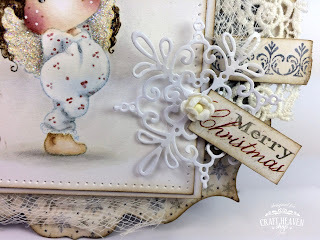 The sentiment is from the Stempelglede stamp set too and I have used some glitter cardstock saved from last year's Christmas crackers to make the snowflake border, cut with a Tim Holtz die.